The students will enjoy a fun night out with their friends and family. 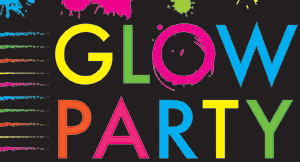 The Theme for the dance party will be “Let’s GLOW Bulls!” Please dress in white or neon colors. Kids will be able to purchase glow accessories at the door. We hope to see you there! Kona Ice will also be on the campus. Tickets are available for purchase now. A flyer will be coming home with your child and All tickets purchased in the pre-sale time will be available for pick up under your child's last name the night of the dance.